FORT COLLINS, Colo. – A decades-long relationship between Colorado State University and the Orthopaedic & Spine Center of the Rockies will be taken to another level when CSU opens its new stadium in 2017. 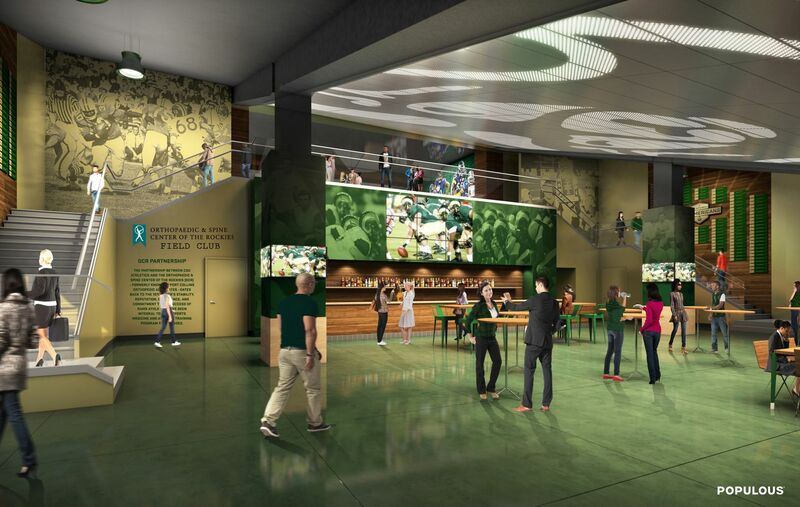 CSU officials announced today an expanded partnership with the Orthopaedic & Spine Center of the Rockies (OCR), which began treating Rams student-athletes in 1969, that will include naming the Field Club at the new on-campus stadium. The fan-friendly space will be unique in college football. The Orthopaedic & Spine Center of the Rockies Field Club will be located on the field level of the west stands between the Rams’ locker room and the home team sideline, providing fans a player’s-eye view of game action along with access to premium food and beverages just steps away from the field. Overhead doors facing the football field will create an open gathering space. The expanded partnership establishes OCR as the exclusive official Sports Medicine Team Physicians for Rams Athletics. The relationship spans parts of six decades since the founding doctors at OCR first started caring for CSU student-athletes. “Our support for the new stadium is a milestone in our relationship with CSU, which goes back to the 1960s,” said Dr. Rocci Trumper, orthopaedic surgeon, OCR board president and team physician for CSU Athletics. The announcement continues the fund-raising momentum CSU has established for the on-campus stadium. 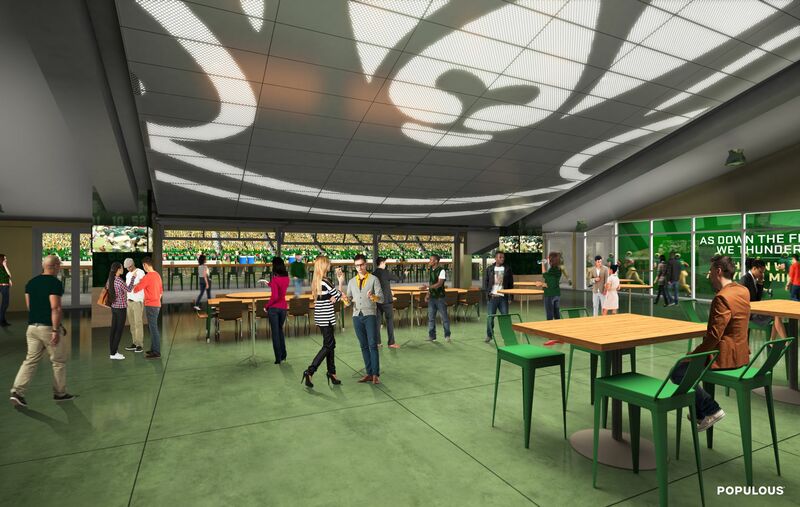 In recent months, CSU announced a $20 million gift to name the field in honor of legendary coach Sonny Lubick and a $4.3 million gift from New Belgium Brewing to create the New Belgium Porch. In addition, premium seat sales for the inaugural season have been robust, with 95 percent of available seats sold. Indoor and outdoor club seats are sold out, 17 of 22 suites are spoken for and only a handful of loge boxes remain available. CSU’s on-campus stadium, which includes room for 41,200 fans, the Michael & Iris Smith Alumni Center and academic space, opens in the fall 2017. Construction on the massive project recently reached the halfway point.